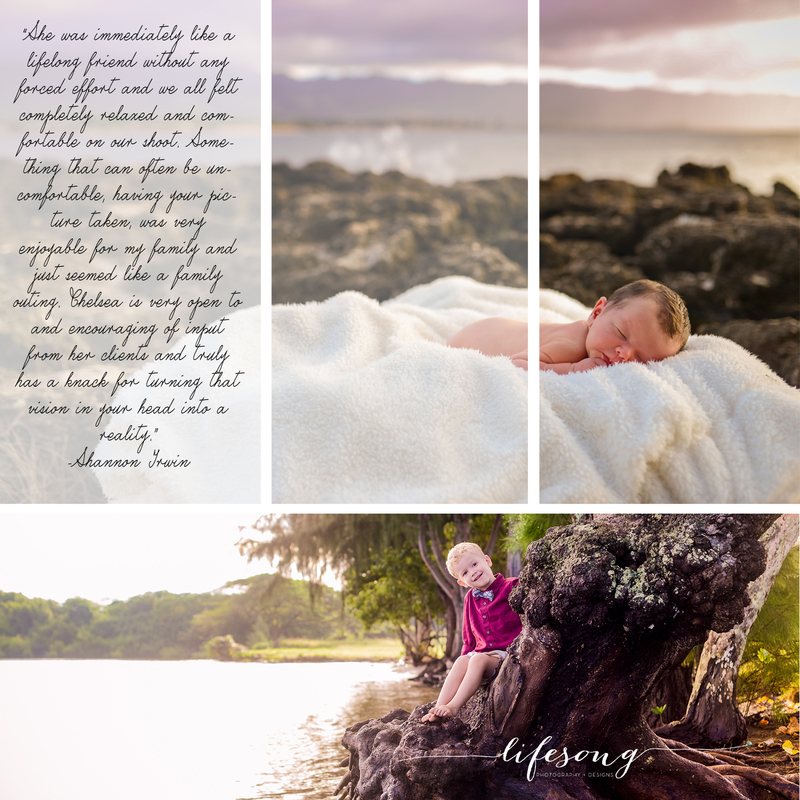 This couple’s session was one of those sessions which made photographing Hawaii special. They were up for the adventure of a new location, so I chose the stunning Spitting Caves on Oahu. The beauty in the depth of the ocean can rarely be overshadowed. With this couple, the depth of their love shown for one another stole the show. The stunning views continued to trail on forever, but my eye was consistently caught by the foreground with their seemingly perfect interactions. Best of all? I was able to tell them to chat about anything and everything because the sound of the crashing waves below drowned out their chat. They were able to interact freely and have a private moment, even with my lens focusing on them. This is a session I will always remember. Thank you again, Calhoun couple. You are a blessing! Best of wishes as you choose to journey around this wonderful world, hand in hand. Just a month ago I was a mental mess. I was tired. I was unsure. I was completely overwhelmed by the loved ones I was leaving and the unknown I was headed into. This is the military life. Arizona was our first base as a married couple and it was the most emotional departure I have ever had. The people, the place. It was where I became a wife and graduated college. It is where I became the adult I am today. Mississippi was only our “home” for about 10 months. Just enough to graze the surface of the deep South and left us wanting more. South Carolina we made “home” quickly. We made fast friends and traveled a lot. Each move has had it’s hurdles but Hawaii was its own beast. The obvious beauty, the culture but most of all, Hawaii is where I proved to myself I could do it — be the best mom to my child. I have spent my entire adult life thus far attempting to perfect this imaginary art of “goodbye”. Everything from the preparation of the move to the hug and then dealing with some emptiness after leaving that area. I have come to the conclusion there is no perfection in such a situation. It is a messy, exhausting and anxious time. However, there is a solution to help you through it all. Choose to focus on the “hello”. As we packed up and flew to the mainland from Hawaii, the worst part for me was the thought of saying “goodbye” to Lifesong. Lifesong has been more than a job. It has been something I have built with all of my interests and best attributes in mind. It is something which challenges me, forces me to manage my time and gives me a sense of pride. It has been something which proved that my degree in business was not just a degree, but something I could run with. Little did I know I was in that unfortunate mindset — focused on the “goodbye” and not what was on the horizon. I was acting as if it was the end of an era and there was nothing I could do about it. Wrong. That needed to change. There was so much I was able to experience in North Carolina! Arriving in North Carolina a new feeling of excitement arose, it was time to say “hello”! One week into our time in North Carolina and bookings began, friendships from previous bases flourished and time was spent in a new (and very cold) climate getting to know the area. Thanks to a good photographer friend, Raymie, I was asked out to a downtown Fayetteville sunrise shoot. Twice a year the sun rises perfectly between the arches in the old Market House. Talk about a time to be excited about the new opportunities and a new area. I am now able to look back at this short time here and smile with tears. I smile knowing I have so much to explore and learn about this new area. I tear up because (as my daughter has taught me) sometimes you just need to cry and miss something because you have to. No logic, just emotion to cope. Those combined seem to do the trick. Most people have heard the expression, “When one door closes, another one opens.” This could not be more true IF you are willing to help yourself to the next handle and turn it. With each of the moves I have given myself something to look forward to, but never forgetting the amazing experiences I have had in the past. Often this is in the form of a bucket list. I challenge you to find the “hello” you can hang onto when your next “goodbye” situation presents itself. Thank you to the hundreds of you who have been my “goodbye” and my “hello”. Each of you have impacted me and changed me for the better. Cheers to new adventures and new opportunities. This couple could not have brought the heat any more than they did. The love in their eyes for one another, their body chemistry, that sunset over the ancient lava rock, the sound of the waves crashing against the walls and that STUNNING baby belly all worked together like a puzzle of perfection. The perfection of pregnancy. I always ensure that sessions are unique. The way each one is styled, the location and the couple makes a session their very own. Adding in the element of excitement which comes from a gender reveal session makes those sessions stand apart from the rest. The best part of it all? I can’t control the emotions, just capture them. The Rose family gender reveal was no exception. They handed me two colors of leis; two blue and two pink. Silently, I read which gender the doctor had written on a note and ensured their eyes were closed. I then handed them the blue leis. They each had fun placing the leis on one another. Making them do this with their eyes closed made it a little more interesting but also allowed me to capture the best of smiles. The excitement which followed gave the camera a show. This couple already has made a wonderful family of three, I can only imagine the happiness which will come from the Rose family, party of four. I wish this family all the best in the last weeks before they meet little brother. This couple provided me with a session idea that was like no other. Although I had photographed jumps into the Pacific before, none had the symbolism and energy like this one. Robert & Stephanie are set to be wed in 2018. They moved to Oahu due to military orders and wanted to do something out of the ordinary and “off the wall”, one might say, for their “Save The Dates”. Thus, a “Leap of Faith” session was born. To pull off this amazing shoot idea as best as I could, I suggested that we enjoy two of Oahu’s most notorious cliff jumping spots in Hawaii Kai. Hawaii Kai has some of the most relaxed sunset locations and also the best Pacific cliffs at Sunset. We chose to snap some images free of the abundance of people at Spitting Caves of Portlock. That location also provided some foliage, coverage from the afternoon sun and areas to walk without fear of hitting slick rock. Then, we drove over to China Walls to enjoy the jump. Each were only moments from one another and had a similar stunning view. Embarking on their new adventure hand-in-hand, Robert & Stephanie leaped in-sync toes first into the Pacific with nothing but pure faith. Best wishes to you both as you continue creating your Lifesong together. Mahalo for the opportunity to be your #Storyteller.